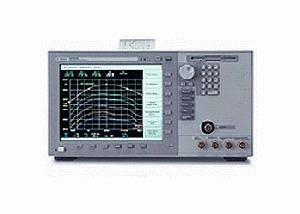 The 86141B is a benchtop Optical Spectrum Analyzer (OSA) with a monochromator output and photodiode input. The HP Agilent 86141B displays the amplitude of light versus wavelength over a 600 to 1700 nm wavelength range. The unit uses a double-pass monochromator design to simultaneously achieve high sensitivity and dynamic range with a fast sweep time.